Keeping it fresh since 1975! 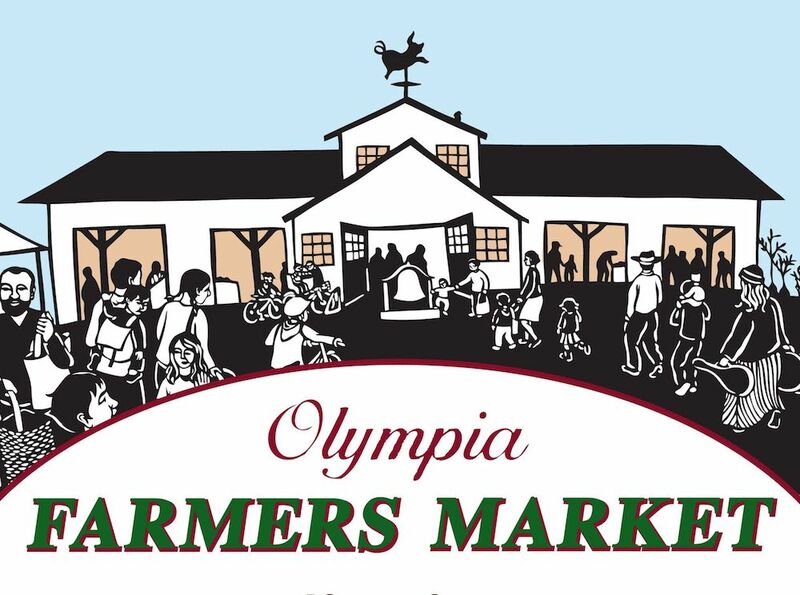 The Olympia Farmers Market is one of the only vendor-owned and operated farmers markets in The State of Washington. The market is governed by a volunteer board of directors comprised of member-vendors and is funded primarily through vendor fees. 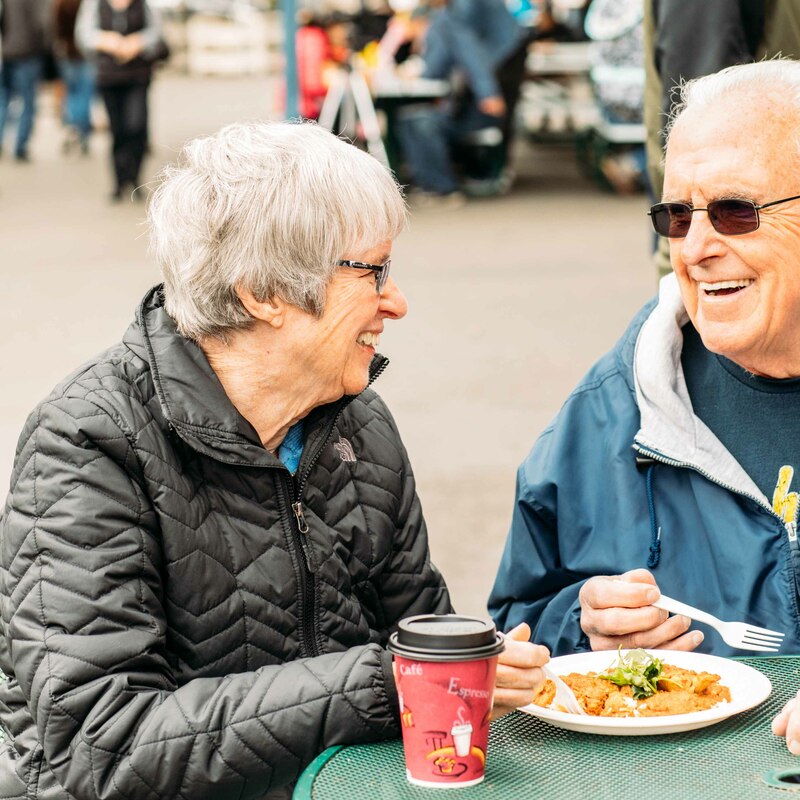 The Olympia Farmers Market promotes several food access programs such as WIC and Senior FMNP, Small Steps, EBT and Fresh Bucks. 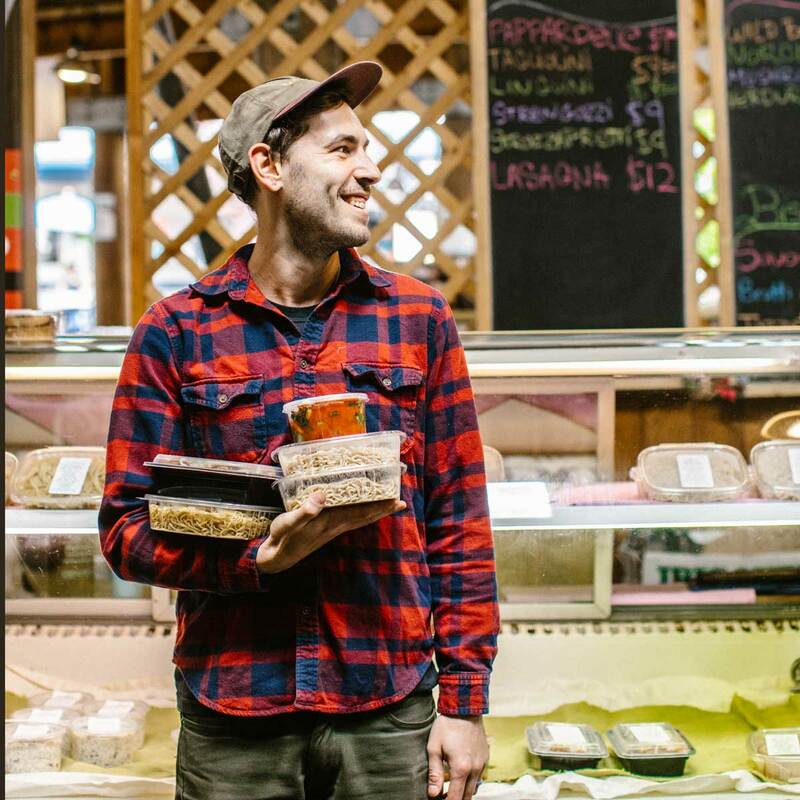 Access to healthy and nutritious food is a fundamental value that brings our customers and our vendors together to exchange goods and ideas. We feel that it is critical to provide education and access to all members of our community and we are proud to continue to grow in these efforts. 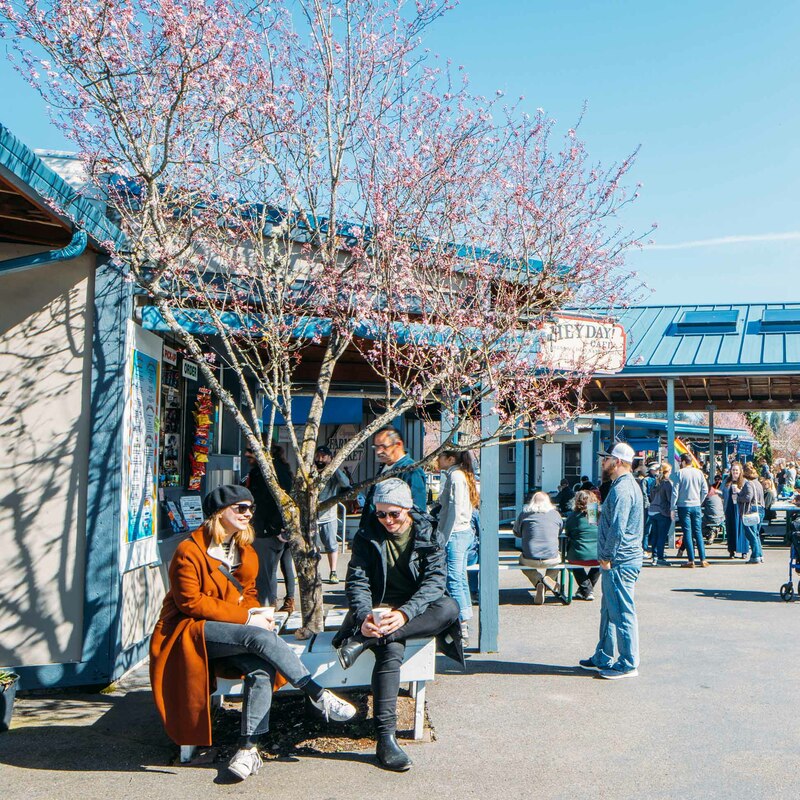 With over 100 vendors, an estimated 400,000 visitors per year, The Olympia Farmers Market is a bustling marketplace. Truly local, our vendors grow, make or produce their items, hailing from Thurston, Mason, Lewis and Grays Harbor Counties. We have three distinct seasons, progressing from one day per week in January to four days per week during the height of our season. 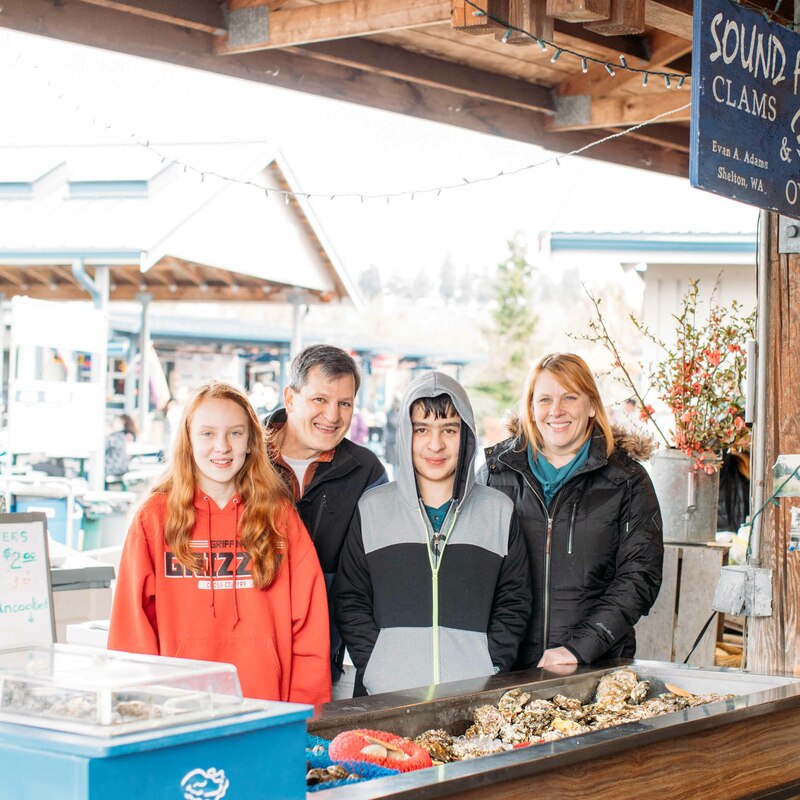 The market is open year-round, more than 150 days per year, rain or shine! The Olympia Farmers Market found its current home in 1996 when the City of Olympia and The Port Olympia came together to secure the site and parking, but the market has had a lively history of locations downtown in the past 100 years, including the old Legion Way site in 1976-77 (until a city official forced a move, citing concerns the market would ruin the grass), across from the old Olympia City Hall on Plum Street until 1984, and then at the old Yardbirds location near Gardner’s Restaurant. Now, on open days, about 2,000 people come through the market to visit the 120 vendors, who include sellers of produce and seafood, food processors, crafters and artists, food vendors and musicians.